#VarunDhawan unveiled the cover of Amish’s latest book – ‘Suheldev and The Battle of Bahraich’ at Title Waves in Mumbai on Monday. During his media interaction actor revealed a little sneak-peek into his character and his inspiration from a comic character for forthcoming #SuiDhaaga. Varun Dhawan is playing the role of a tailor in the film, but confirms that his character is also a peon in an office and that his part is “inspired” from Tinkle comic book character “Suppandi”. The book, assisted by Vikas Singh, is the first book with which Amish has introduced Writer's Center in India and will be published under Amish’s brand new series titled ‘Indic Chronicles’. Further talking Varun Dhawan hailed Amish for his gallant efforts to put Indian History for forefront and stated it is high time we celebrated Indian Heroes and stop looking at the west for inspirations. Varun Dhawan also admitted that his next flick “RannBhoomi” director Shashank Khaitan is a big fan of Amish but they will not steal his ideas but take permission if required. 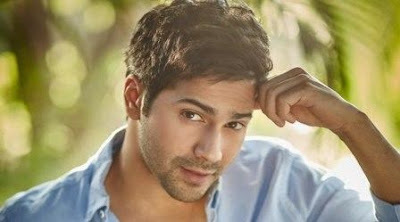 Actor Varun Dhawan is currently busy with three massive projects, such as Kalank, RannBhoomi, and Sui Dhaaga.